Military veterans, having experienced high-stress and goal-oriented work environments, are uniquely equipped with the skills needed to excel in a variety of employment opportunities. 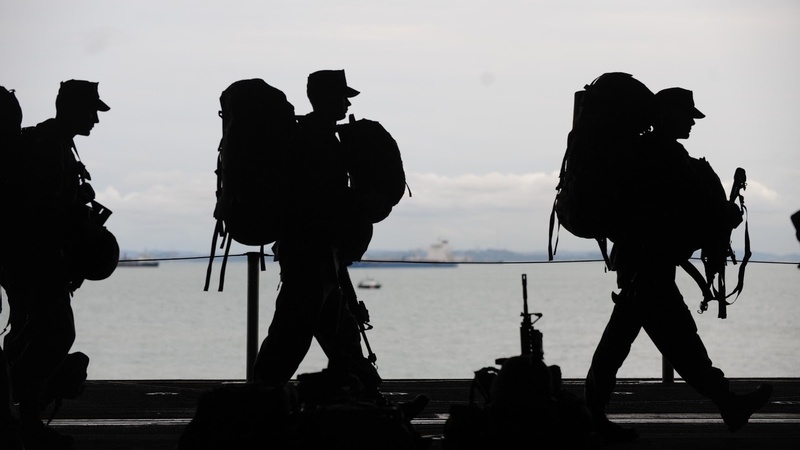 While there are many industries eager to hire veterans for their excellent character and admirable work ethic, there are few industries as eager as the logistics industry. If you’re a military veteran who has experience driving large vehicles as your MOS, or even if you have no driving experience whatsoever, military veterans make excellent truck drivers and trucking companies are excited by the prospect of working with you, and want to help you find a job that will suit your needs. Here are just a few of the many reasons why trucking companies are looking to hire military veterans, and why veterans should consider a career in trucking. As a military veteran, you have a unique kind of leadership experience. Whether you led others while in the military or not, your discipline and resolve from your military experience means you know how to recognize, emulate, and encourage successful leadership strategies. As a truck driver, you’ll need those kinds of leadership skills in order to take charge of every situation you encounter. Truck drivers need to show initiative, take the lead in order to resolve conflicts, and most importantly, stay on the road. These are all abilities that you, as a veteran, are well-versed in, making you a valuable addition to any trucking company. If there’s anything veterans know well, it’s operating as part of a team, and when you’re a truck driver, that’s a vital skill to have. Knowing how to work well with others and play to the strengths of you and your co-driver is a vital skill to have on and off the road. When you’re driving a truck, you need to be committed and focused on the task at hand. Since truck driving, and OTR driving in particular, requires you to spend large amounts of time behind the wheel, sometimes for days or weeks at a time, you need to be dedicated to seeing the job through to completion. As a veteran, your experience in the military has already proven your commitment to the job at hand, making you that much more attractive to trucking companies looking for dedicated drivers. Another necessary skill to have as a truck driver and specifically an OTR driver is the ability to adapt to new situations on the go. You can never predict what the weather, traffic, or other drivers will do when you’re on the road, so it’s important to remain alert and focused so as situations evolve you can adapt quickly and seamlessly. Some of the best truck driving companies for veterans, like Lily Transportation Corp., will even offer training programs for veterans to get their commercial driver’s license (CDL). In the case of Lily Transportation, our one-of-a-kind training program won’t deplete your GI benefits. For more information on the veteran career benefits Lily Transportation offers, visit our careers page or contact us at 800-248-5459.